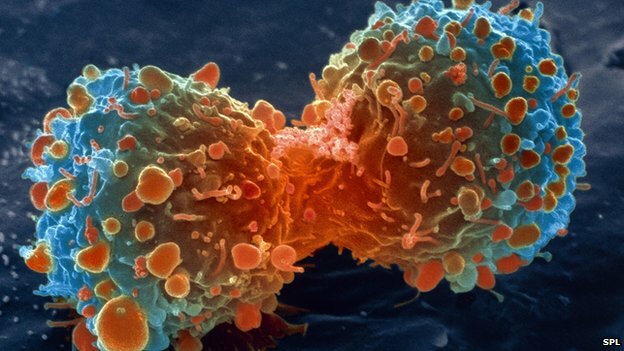 Most types of cancer can be put down to bad luck rather than risk factors such as smoking, a study has suggested. And Cancer Research UK said a healthy lifestyle would still heavily stack the odds in a person’s favour. So is it time to light-up, drink and eat what you want without a care in the world? It won’t come as a surprise that the answer is no. All cancer has an element of chance – a roll of the dice that decides whether your DNA acquires a mutation that leads to cancer. The study shows that two thirds of cancer types are simply chance. But the remaining third are still heavily influenced by the choices we make. Too much booze, time in the sun or being overweight mean we are playing with loaded dice and the odds are not in our favour. Remember smoking accounts for a fifth of all cancers worldwide. These findings are a reminder that cancer is often just bad luck and the only option is early detection. But that’s not an excuse to give up on those new year’s resolutions already.